For years, the annual Women's Institute calendar had been the paragon of convention - but then eleven women aged between 45 and 65 from the Yorkshire Dales blew all that apart in 1999 when they posed naked to highlight traditional WI crafts. The calendar became a global sensation and sold in its tens of thousands to raise money for leukaemia research. It was the brainchild of Tricia Stewart, who told a packed hall on March 15th how the women of the Rylstone and District WI, near Skipton, went from developing a novel idea to appearances on prime-time US television shows and the release of a major film chronicling their project, as well as stage productions throughout Europe. 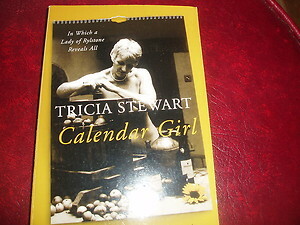 The film Calendar Girls, based on the story of the Alternative WI Calendar, was premiered in London in 2003, with Helen Mirren playing the character modelled on Tricia. With brilliant comedic timing, Tricia recounted how hundreds of people in the Dales applied to be extras - including several appearing in a raft of scenes - and how all the famous actresses in the film developed their characters. There followed appearances for the women on the red carpet at premieres around the world and even a photo-shoot on the beach at Cannes. They met Prince Charles at a country show (when word seeped out that his favourite was Miss July) and they also appeared on the Royal Variety Show. 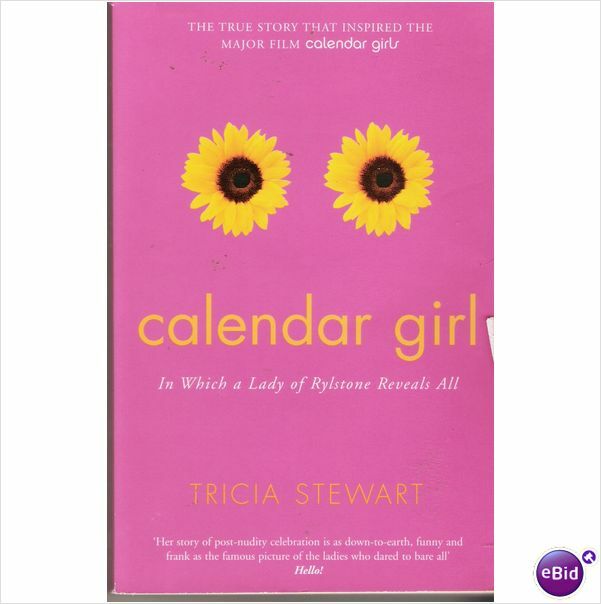 The following year, Tricia's book, The Calendar Girls Story, was published and has been translated into many languages, including Japanese. The stage version of Calendar Girls opened in 2009 in the West End to full houses, with Lynda Bellingham and Anita Dobson playing Tricia's character, and there have also been a whole series of amateur versions. The idea had first come to Tricia after John Baker, the husband of a friend, died from the leukaemia in July 1998 at the age of 54 and she was determined to pursue the project in his memory. Initially, the aim was to raise £5,000 for leukaemia research and to have a calendar dedicated to John’s memory. Its effect was expected to last three weeks but - over thirteen years on - the charity has raised more than £4 million. Scores of other groups have subsequently copied the idea of a semi-naked calendar - from firemen to farmers' wives - but none has ever matched the impact of the original from the Dales. Marlene Fisher's back-drop featured a large sunflower (the emblem of Tricia's project), with enlarged pictures of the women from the first calendar on the petals. After her talk in Wootton, Tricia sold over 40 copies of the 2013 calendar, featuring photos of some of the original women down the years - and the last one to be published. A collection afterwards also raised £310 for Tricia's charity.